Hi TaiwaneseAmerican.org! Erica, here. 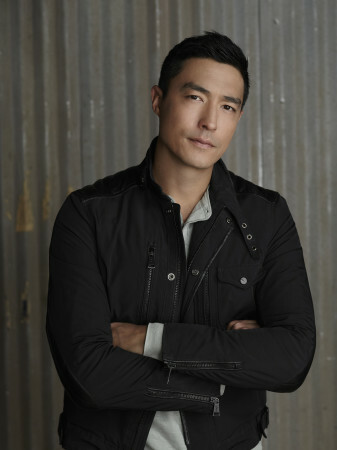 As part of our ongoing Asian American and Pacific Islanders (AAPI) in Entertainment series, I recently talked to actor and model Daniel Henney about his new show, Criminal Minds: Beyond Borders. Daniel has appeared in everything from X-Men Origins: Wolverine, to classic k-dramas like My Lovely Sam Soon, and even graced the cover of GQ Taiwan! Check out my Q&A with him below! EL: Hi Daniel! Thanks so much for taking the time to chat with us. We’re big fans of yours and we’re so excited about your new TV show. Can you tell us a little bit about the premise, and the role that you play? DH: Thanks, Erica! Criminal Minds: Beyond Borders is a new show with the same basic principles as Criminal Minds. However, the differences are that every episode will be taking place internationally. I think the audience is really going to love traveling to different countries with our team every episode. Unlike Criminal Minds, with us, you’ll get to deal with different cultures, different religions, and various types of different protocols that you will encounter when traveling to different countries. My character’s name is Matt Simmons. He is an ex-military FBI profiler. He’s a family man, he’s married with 4 kids. Everything he does is for the love of his family and for the love of his team. Within the structure of the team, Matt does a lot of the heavy lifting. He is the muscle of the team and the man they turn to when it comes to fieldwork. Because of his military background he has many connections in many different countries and is an invaluable resource. EL: What’s been your favorite part about working on the show? DH: My favorite part has been just the chemistry with our team. I have been a huge fan of Gary Sinise ever since I was young, and now having a chance to work with him is like a dream come true. Every team needs a very strong leader and Gary personifies that. Our team became so close over the course of the first season that we actually ended up hanging out together on the weekends haha! I think that’s pretty rare. EL: You’ve had such an amazing international career yourself, and it’s fascinating that this show is also very international in scope. Are you able to tell us some of the countries that will be depicted? DH: The countries we travel to in the show include [but are not limited to] Japan, Mexico, Belize, France, Egypt, Thailand, and Morocco. I believe that traveling is one of the most important things that one can do as a young adult. That was one of the reasons I decided to do the show. I have basically been traveling the last 15 years of my life, and the experiences and the memories are priceless to me. EL: I have a feeling this show is going to inspire some serious wanderlust in all of us. So did you get to travel to all the different countries? DH: Unfortunately, no. Everything you see on the screen was shot in Los Angeles or in the Los Angeles area. However, our art department and location scouting team did such an amazing job that even when I watch the episodes back, I can’t tell that we weren’t actually in that country. Really amazing work. EL: Wow, that’s impressive, each location looks so realistic. What was your favorite country to feature and why? DH: My favorite episode was Japan. I’ve always been very interested in Japanese culture and I’m really excited that we’re going to show some of that to the American public through our show. I also had a chance to work with one of my friends and favorite Japanese film stars, Yukiyoshi Ozawa, on the episode. He played my Japanese counterpart. Together we got to explore some of the more interesting and spooky elements of Japanese culture. We also had a chance to check out the very famous suicide forest located a couple hours outside of Tokyo. I think the audience is really going to respond well to that episode. EL: What do you hope people get out of watching this show? DH: When people watch Criminal Minds: Beyond Borders, they are still going to get the same thrills they get from the original Criminal Minds. However, the cool thing is that with our show the audience will also get a chance to learn about different cultures and actually see how crime is processed and handled around the world. DH: I sure hope so, but you’ll have to ask the writers! I’d love to do an action scene in downtown Taipei!! Running through the markets would be so much fun!! EL: Gotcha. I’ll work on making that happen. I also heard that you spent some time in Taiwan at the start of your career! Did you live there, and what was your experience like? DH: I spent a lot of time in Taiwan when I was younger as a model. I absolutely loved my time there. The people, the food, the weather…everything was amazing. I even remember traveling to Hualien to shoot a TV commercial. I really have some great memories of being in Taiwan. EL: Hualien is beautiful. And finally, I’m sure our audience is dying to know: what is your favorite thing to eat or drink in Taiwan? DH: My favorite thing to eat in Taiwan is definitely the dumplings. They are so amazing, every time I travel there I have to stop and get some. I also remember getting some really delicious cold mango drinks on the streets of Taipei. I used to walk around there by myself all the time and go shopping. It was so much fun. DH: Thank you for your interest in our show. I really hope everyone will watch and enjoy the episodes!!! 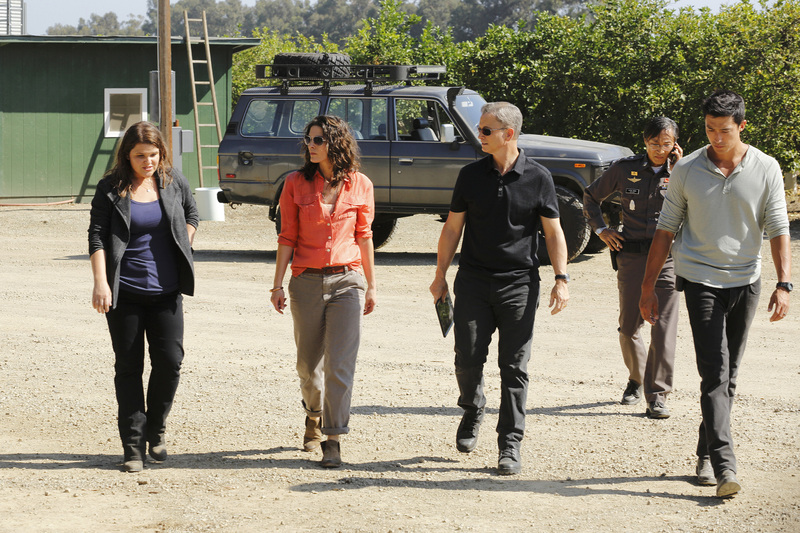 Criminal Minds: Beyond Borders premieres March 16, 2016 on CBS at 10/9 central. Meet Actor Hudson Yang from ABC’s Fresh Off the Boat Hanging with Albert Tsai and the Cast of Dr. Ken! Meet Jack of All Trades: Actor, Writer, Producer Kelvin Yu Happy Mid-Autumn Festival! Celebrate Friends and Family!